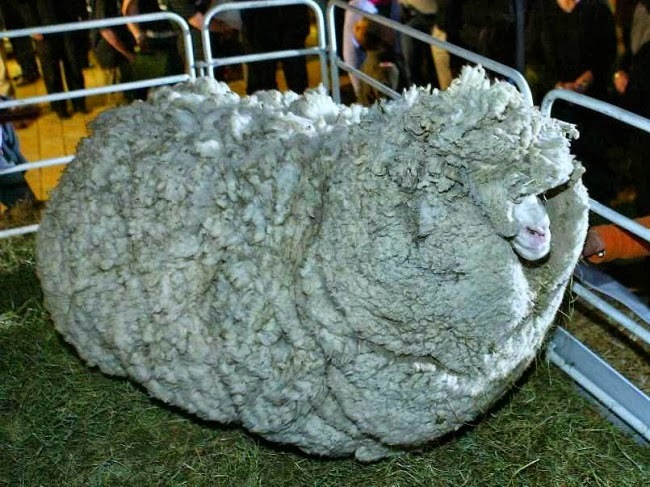 Merinos, which produce a fine wool used in clothing, are usually sheared once a year, but Shrek had managed to avoid muster for six years until found in a remote part of Bendigo Station in Central Otago near the Southern Alps in New Zealand's South Island. 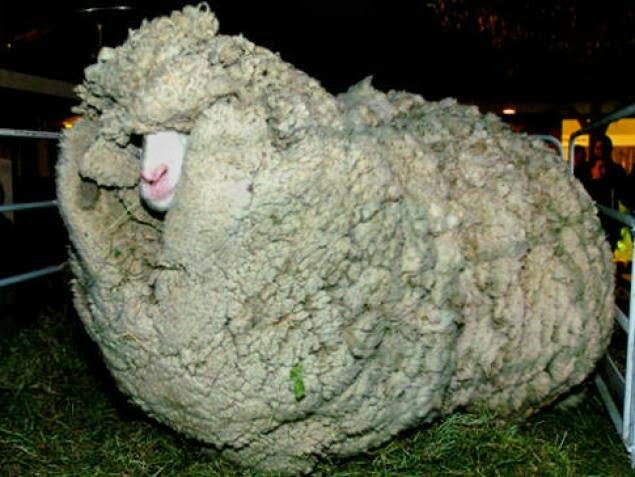 Shearer Peter Casserly, 56, took more than 20 minutes to take the fleece off. "The fleece was very heavy and pulling the skin up so it would have been very easy to cut him; that's why I was only snipping away slowly. I couldn't put in many long blows," he said. Casserly, who has been shearing since he was 17, holds the world blade shearing record of 353 sheep shorn in a nine-hour day. Please note that 27 kg is a lot of fleece. 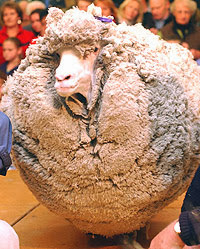 The average merino fleece is around 7 kg and fills the volume of about three fluffy bed pillows. She died in 2011... she was 16 years old. A very freak, but also a natural experiment, almost a dream of freedom... Nature always is soooo surprising, so fractal in Its very infinite expressions and declinations. "The Peak" 12 inches arm is singing! Fukushima - that's crappy news!